Evergreen groundcover. Good for banks or areas with poor soil. 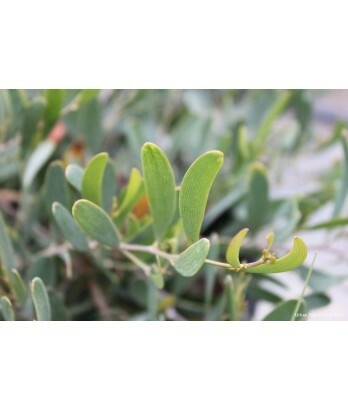 Narrow, leathery, grey-green leaves. Puffy, yellow, ball-shaped flowers bloom in spring. Tolerates drought and heat. Low water needs once established.